The master bedroom suites in most of our Edgemont Walk homes are so large that they encompass the entire top floor! These full-storey suites are a private oasis to escape to at the end of the day. Featuring large walk-in closets, expansive decks with stunning views and master ensuite bathrooms with full-size tubs, frameless glass door showers and two sinks. The master suites at Edgemont Walk provide you with the ultimate relaxing hideaway! 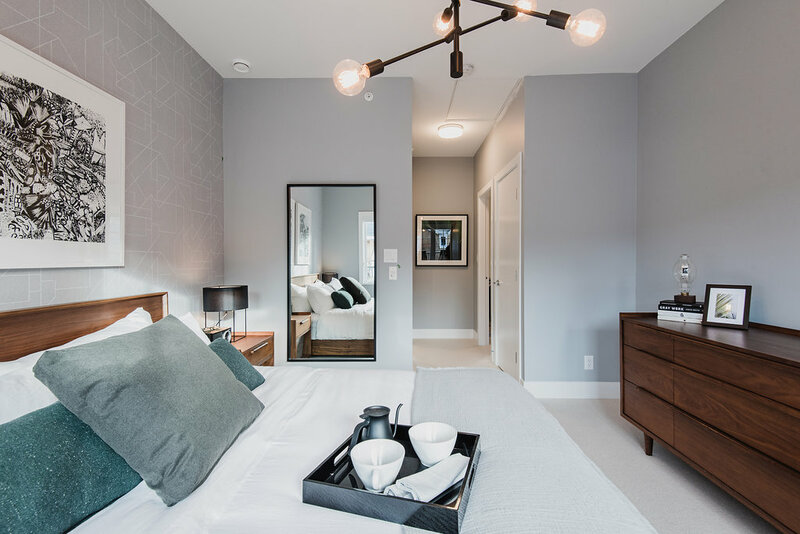 Soon you will be able to see the beautiful master bedroom suites at Edgemont Walk for yourself when we open our Presentation Centre and fully furnished display home this fall. If you haven’t already, be sure to register to receive email updates for Edgemont Walk, Boffo Properties latest community of 24 townhomes in the heart of North Vancouver’s Edgemont Village. To register your interest visit http://www.boffoproperties.com/edgemont/.